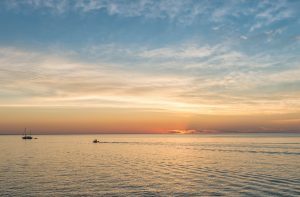 Saginaw Bay walleye fishing continues to be very good but windy conditions are hampering trollers. There is some indication that the fish are moving toward deeper water. More boats are working out near the Green Spark Plug (Buoys 1 & 2) at the end of the shipping channel, the deep side of the Bar, and areas similar. Those trolling out of Caseville were getting some bigger walleye off Oak Point and north of the Charity Islands. Out of Linwood latest reports today have limit catches of walleye from Black Hole to the Spark Plug pulling spoons and tot’s. 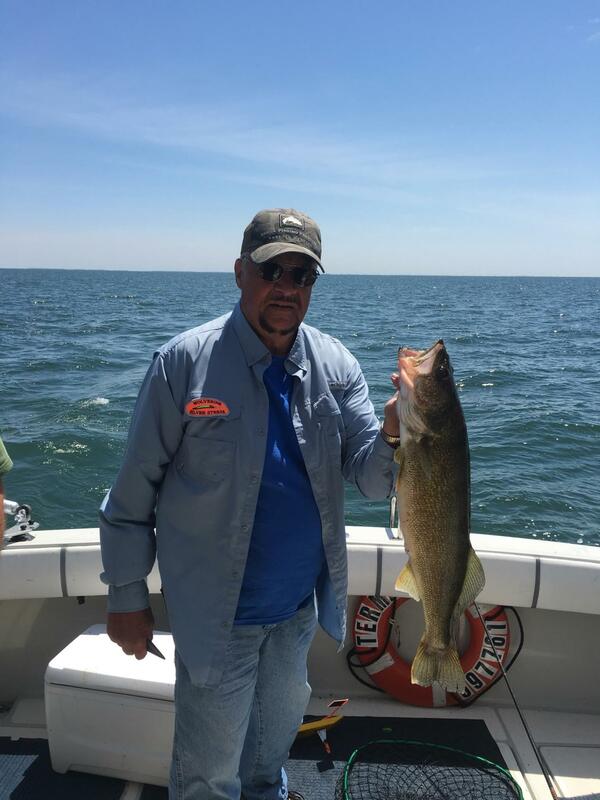 Au Gres fishing remains excellent with a lot of anglers, a lot of walleye being caught and a lot of limit catches reported. On days with a north wind, anglers did well straight off the mouth of the river in 25 to 40 feet. Au Gres River catch rates for catfish picked up immediately after the rain. Grindstone City walleye were hitting very well in 25 to 40 feet. Anglers using lead core and small spoons are catching fish and limit catches were reported. 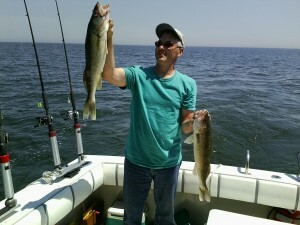 Large whitefish were also caught and some were in the 10 pound range. The very tip of the Thumb is a good place to fish if the wind is out of the south. Oscoda pier fishing was on and off. Early morning and late evening were best with the occasional mid-day catches. Salmon, lake trout and steelhead were holding south of the river were scattered and on the move. 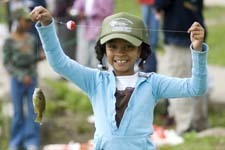 Try 50 to 150 feet and look for baitfish which were abundant. Scum lines were few and far between but that’s where the steelhead are and hitting on dark colored baits. Au Sable River look for walleye all the way to Foot Dam. Body baits and crawler harnesses are producing the most. Catfish are moving in throughout the night. Port Austin is producing a few walleye. It appears that the fish have not yet moved onto the reefs between Caseville and Port Austin. Tawas those trolling are heading to the north side of the Charity Islands and picking up large walleye in 25 to 35 feet. Pier and river fishing were slow. After spawning, bluegills will move to deeper water for the rest of the summer and larger bluegills can be hard to locate. They can be found living near the top of the thermocline where water temperatures approach 69 degrees. Depending on the lake, this depth will usually be somewhere between 12 and 18 feet. To locate this depth, either use a lake thermometer (available at most larger tackle stores) or contact the nearest DNR office. If the lake has a public access site, fisheries biologists will have surveyed it and will have a temperature – oxygen profile of the lake. This chart will identify the depth with a temperature near 69 degrees. Try fishing at this depth where the 69 degree temperature is close to the bottom…usually at the deep edge of weed beds. Use light line (four-pound test or less) tipped with a white ice-fishing tear-drop jig baited with a wax worm. Some anglers use slip bobbers, while others fish European-style with very long fiberglass poles. Early morning and dusk are most productive.